Fifty-six years later, the 1831 meetinghouse was moved aside to enable the building of a new church structure. This building is our current church sanctuary. George Skidmore, a local Riverhead architect, designed it in the 1887, and construction was finished in 1888. The outside color was not white as it is today, but subtle shades of gray, toned to bring out the lines of the trim and shingles. The style is a local vernacular shingle, with many Queen Anne elements. Clapboard, square and fishscale shingles sheath the building. Inside the church, the dark, wood-paneled galleries on either side flank the semicircular pews that were arranged to increase the auditory and visual connection between the congregation and the delivery of the Word. 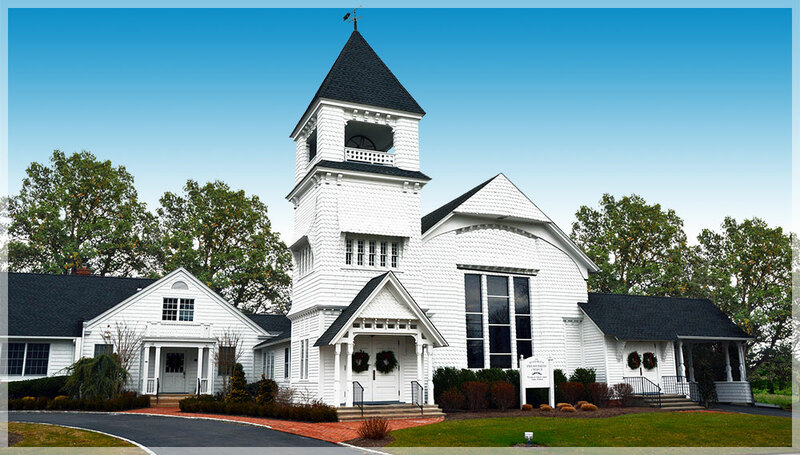 The Quogue Chapel was later established and now provides services during the summer. Our Memorial Garden provides a place for interment of ashes and reflection and honor for the community. Rev. Vanessa Winters was born in Portland, ME where her family has lived for generations. She grew up as the oldest of five children. Following her graduation from high school, Vanessa attended Trinity College in Dublin, Ireland where she graduated with her B.A. in Biblical and Theological Studies in 2010. She attended seminary at Harvard Divinity School and graduated with her Masters in Divinity in 2013. 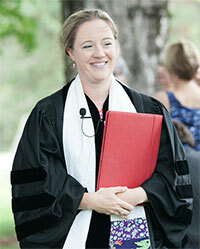 She was ordained to ministry in the United Church of Christ in 2014. Prior to coming to Westhampton, Vanessa served a Federated Church in Thomaston, ME for 5 years. Vanessa, her husband Chris, and her son Wesley live together with their two dogs, Tyson and Ginger. Vanessa loves to sail and has been racing sailboats since age 8. She also loves to go to the beach, spend time with her family, ski, and read murder mysteries in the little spare time she has.